The exocytosis and secretion lab deals with the induction of stimulus-dependent secretion, a topic well studied in Tetrahymena. 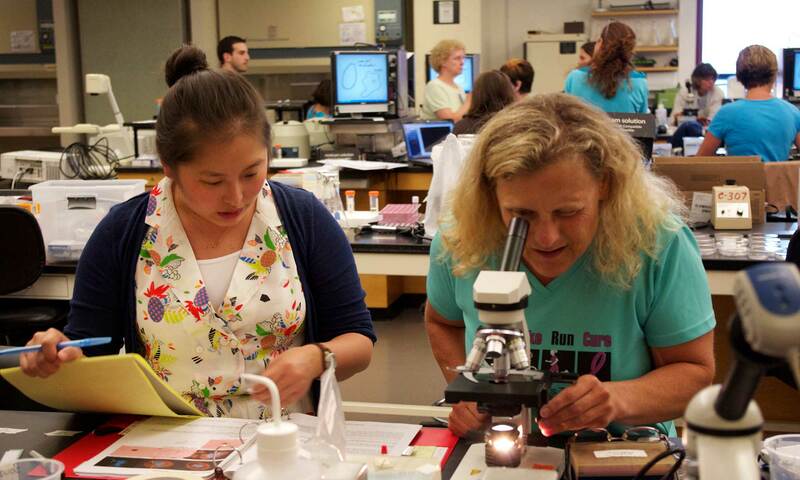 This lab can also be linked to evolution of defense mechanisms in lower eukaryotes. Students induce secretion of a gelatinous capsule around the whole cell (visually similar to the jelly capsule surrounding frog eggs) in response to Alcian Blue. Cell reaction is captured by microscope mounted digital cameras using real time and time lapse exposures. Survival of the cells and ability to secrete a second capsule in response to stimulation are explored. Classroom modifications include examining the role of various stimulants and calcium concentration in the secretory process. Students are encouraged to formulate their own questions and design experiments to answer them, e.g. what effect does media or temperature or cell density have on secretory behavior? Cowan AT, Bowman GR, Edwards KF, Emerson JJ, Turkewitz AP. 2005. Genetic, genomic, and functional analysis of the granule lattice proteins in Tetrahymena secretory granules. Mol.Biol.Cell 16 (9):4046-4060. Gutierrez JC and Orias E. 1992. Genetic characterization of Tetrahymena thermophila mutants unable to secrete capsules. Dev.Genet. 13 (2):160-166. Hutton JC. 1997. Tetrahymena: the key to the genetic analysis of the regulated pathway of polypeptide secretion?. Proc.Natl.Acad.Sci.U.S.A. 94 (20):10490-10492. Melia SM, Cole ES, Turkewitz AP. 1998. Mutational analysis of regulated exocytosis in Tetrahymena. J.Cell.Sci. 111 ( Pt 1):131-140. Satir B, Schooley C, Satir P. 1973. Membrane fusion in a model system. 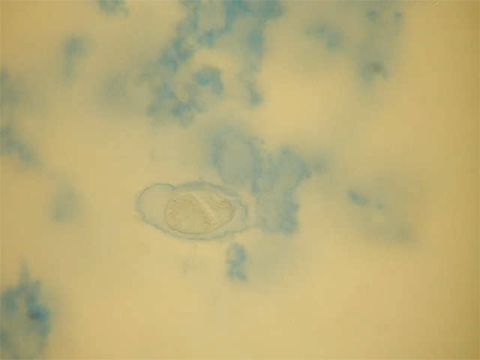 Mucocyst secretion in Tetrahymena. J.Cell Biol. 56 (1):153-176. Turkewitz AP. 2004. Out with a bang! Tetrahymena as a model system to study secretory granule biogenesis. Traffic 5 (2):63-68. Turkewitz AP, Madeddu L, Kelly RB. 1991. Maturation of dense core granules in wild type and mutant Tetrahymena thermophila. EMBO J. 10 (8):1979-1987.